In the course of his practice, Don has handled taxable estates valued as high as $15,000,000.00, and estate planning for estates up to $25,000,000.00. He successfully handled an estate tax dispute with the Internal Revenue Service regarding estate and gift taxes in excess of $600,000.00. As a result of that case, the IRS changed its position on the treatment of life insurance policies in Louisiana for estate tax purposes and issued Revenue Ruling 94 - 69. Don has represented many clients in business acquisitions, including the acquisitions of numerous radio stations. He has handled numerous tax free corporate reorganizations including Section 355 tax free spinoffs, and tax free reorganizations under Internal Revenue Code Section 368(a)(1)(C) and 368(a)(1)(B). Don has been a frequent lecturer on federal income and estate tax topics. He has spoken at Louisiana State University, Paul M. Hebert Law Center , on Internal Revenue Code section 1031, like kind exchanges, and on Medicaid planning. 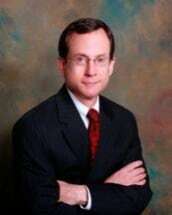 He has been a Special Lecturer for National Business Institute on the following topics: Basic Probate Procedures and Practice in Louisiana, 1993; Key Issues in Estate Planning and Probate in Louisiana, 1997; and Exempt Organizations and Charitable Activities in Louisiana , 1997. Don is also a Certified Public Accountant, Louisiana (inactive).